The summer race season is over and the days are getting shorter which means we are about to move all our training to our winter training base at Birkenhead. We're back to our winter training programme from the first Saturday in May, which means that all our official training is based back at Birkenhead. The training will be periodised to have everyone in their best winter condition in the middle of September for the ITU World Champs on the Gold Coast. If you're not going to the Gold Coast, it wouldn't hurt to set yourself up with a winter training race in your weakest discipline, to give you something to get out of bed on the cold winter mornings. The winter training phase will look like this. If you've been looking to get back into swimming or you've got a friend that wants to start swimming then the start of May is the best time to "take the plunge." There are plenty of sessions available during the week, you can check out the timetable here. Taking advantage of being able to train indoors is a great way to keep the motivation and training consistency up even when the weather isn’t co-operating! And training with a group of like-minded people is great fun! The Saturday morning brick session is a particular highlight. We have two sessions a 7am and an 8:15am (for those that like a bit of a sleep in). 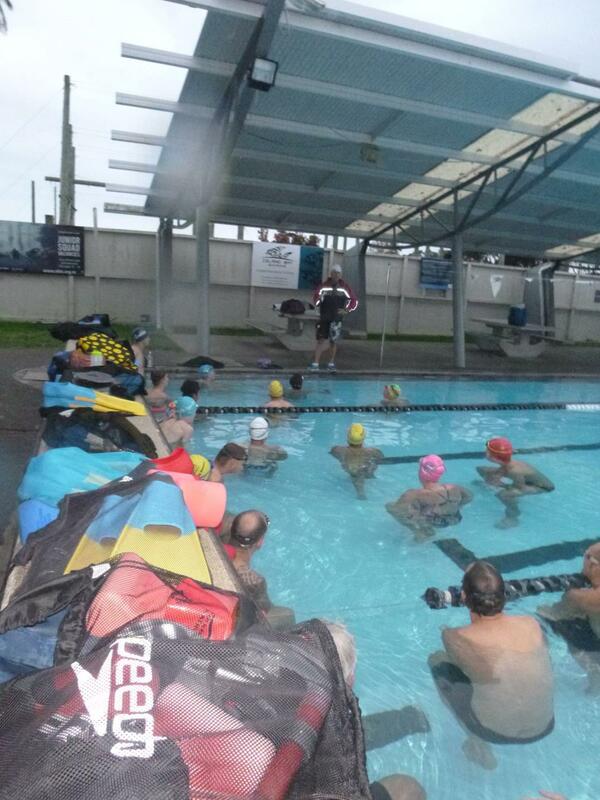 Both sessions include all three disciplines: swim, bike and run. Usually everyone will do them all but you can just turn up for a single session or a combination of two if that is what your timetable allows. It’s best to get there in plenty of time to get your bike and trainer set up in the main hall. There are trainers available to hire if you don’t have your own. Make sure you have a towel, water etc. After that head down to the pool to sign in. We have a few different ways to pay for training and discounted rates for club members (also don’t forget we currently have a FREE 2018 winter membership offer running at the moment – check that out here). There are lanes for all types of abilities, from the “I’ve been swimming since I was born” lane to “Can I wear a life jacket?” lane. If you’re unsure of where you fit in just speak to one of the coaches. The swim session goes till 8am. Then we have our first “transition” to the bike. Getting on lycra cycle shorts when you are still a little wet isn’t the easiest thing to do but at least you don’t need to worry about a rain jacket (or a helmet!). Grab all your gear and head back to the main hall for about an hour of indoor cycling. The 8:15am session get in the pool at this stage and follow the same routine. Just before we get off the bikes at about 9:15ish the run options will be explained. We run outside and there will be options (shortcuts) for all abilities. We do a mix of running on road and occasionally off road, for those new to running with the club in winter you’ll be amazed at the new and interesting trails dotted all over the Birkenhead area! 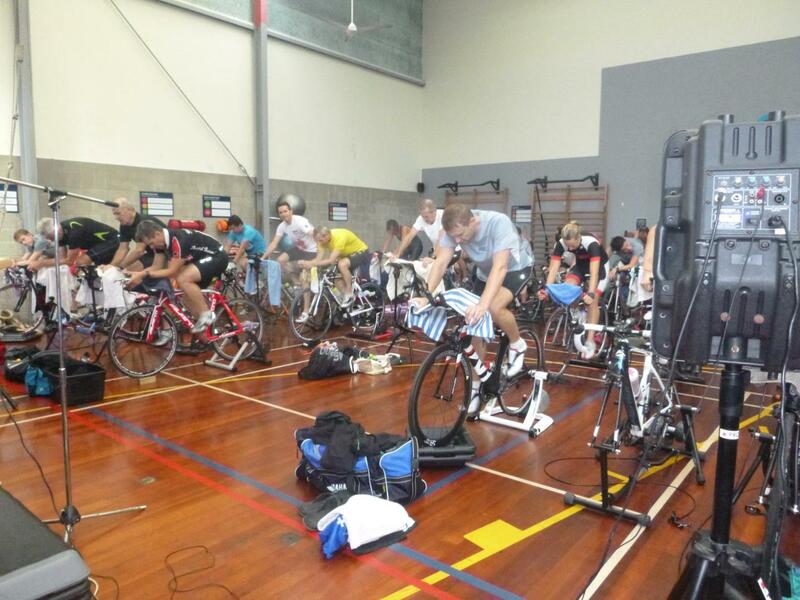 We pack up our bikes and trainers before we run so there is room for the 8:15 squad to do their session. The fourth and final discipline is of course the café ;O). We have a standing reservation at Bungalo café from about 10:30. A great way to debrief / plan Sunday adventures. Got questions? Feel free to drop us a line either by email (northharbourtriclub@gmail.com), facebook or contacting one of the coaches - Stephen (021 348 367) or Jane (027 658 3467).